Partnering yet again with Blumhouse Productions, the film series’ creator James DeMonaco will produce for the first time on the series, alongside Michael Bay and longtime producing partner Sébastien K. Lemercier. Though their roles have not yet been revealed, an entirely new cast will show up in the film, including one Oscar winner, Marisa Tomei. Tomei will also star in the second season of The Handmaid’s Tale, which you can find out more about here. 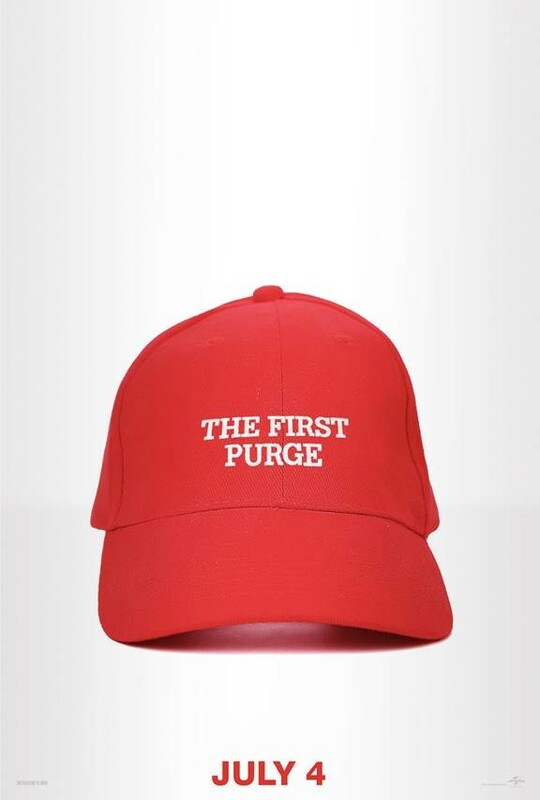 Obviously, the poster below all too closely resembles Donald Trump’s “Make America Great Again” hats. Is DeMonaco hinting at something here in regards to our current president? The film arrives in theaters just in time for America’s birthday on July 4.